The Christmas season sees its share of bite-sized treats, from fudgy bourbon balls to crunchy nut brittle to spiced sugar cookies. There are too many occasions to count, from Thanksgiving through the New Year, that call for these holiday treats. Need something festive but simple? That’s when you can turn to our easy thumbprint cookies. To start, thumbprint cookies come in so many cheery forms. Some are tender and shortbread-like, filled with dollops of traditional raspberry jam. Others are chewy and chocolatey, topped with gooey caramel and flaky sea salt, even making use of peppermint kisses and colorful sprinkles. What’s more, Christmas thumbprint cookies are so festive they’re practically begging to be doled out as food gifts, bagged for the cookie swap, or served at the holiday party. Read on for the best thumbprint cookies to make this season. The jolly man in red would approve of these cheery cookies. Red velvet thumbprints couldn't ask for a better topping than this white chocolate-cream cheese mixture. Chocolate lovers, rejoice! These thumbprint cookies turn chocolate and peanut butter into little bites of holiday heaven. Drizzled with creamy white chocolate, these raspberry thumbprint cookies are always welcome on the Christmas party spread. The classic shortbread-like cookies are topped with fruity pockets of jam. These cookies have as much Christmas spirit as Buddy the Elf. Trade milk chocolate Hershey's kisses for these whimsical candy cane-inspired ones. Pretty as a Norman Rockwell picture, this take on traditional thumbprint cookies calls for simple stamping to make them look sophisticated and old-fashioned. This rich chocolate ganache is just what Santa put on his list. Crushed peppermints make the crunchiest, cheeriest holiday topper. Embrace a more fall-inspired flavor combination with these apple butter-and-caramel-topped cookies. This recipe gives classic gingerbread a tasty twist. With a chewy center and spiced white chocolate filling, these cookies will disappear mighty quick from Santa's plate. Coconut and dulce de leche make a festive duo. Watch these thumbprints disappear. Fast. Looking for a cookie swap winner? These chocolate thumbprints are topped with gooey caramel and flaky sea salt, making them anything but a basic butter cookie. Bright and cheery, these will give Santa's elves a run for their money. Almond-flavored thumbprints are delightfully finished with apricot preserves. Fudgy, crackled, and dressed up in powder sugar, these thumbprints are begging to be doled out as food gifts this holiday season. Sealed with a (peppermint) kiss, these cute cookies are so festive they could turn Scrooge. Three layers of chocolate send a merry message. Give these peanut butter cup-topped cookies as food gifts this year. 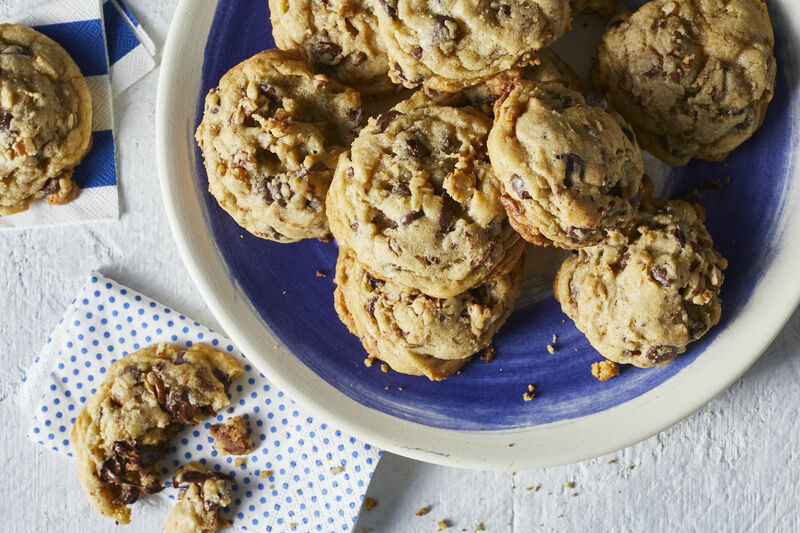 Serve up all the flavor of chocolate turtles, but in a chewy cookie form. Salted caramel adds a gooey, sweet-and-salty finish. Give your holiday dessert table a citrus touch. A classic combination, lemon cookies and raspberry jam make quite the zingy duo. These'll look both elegant and festive at your Christmas cookie swap. The irresistible flavor combination of cherry and chocolate gets topped with melted white chocolate. Simple and classic, these jam thumbprint cookies are like spiced butter cookies with a Southern finish. Peanut butter and chocolate go together like Dasher and Dancer. Add some flaky sea salt, and you're set with a holly, jolly batch of cookies. These no-bake thumbprint cookies strike the perfect sweet-and-salty balance. Creamy almond butter and crushed pretzels are complemented by a festive dollop of strawberry jam. Chocolate and mint just love getting together for the holidays. This thumbprint recipe feels Yuletide-ready with green frosting. Thumbprint cookies get a sweet-and-savory—and totally Southern—makeover. A dollop of tomato jam is just what the cornmeal-flavored cookies call for. If raspberry ganache is wrong, we don't want to be right. Add a pop of color to your Christmas party spread. Frosty, is that you? Give your thumbprints a little extra Christmas cheer by turning them into snowmen. 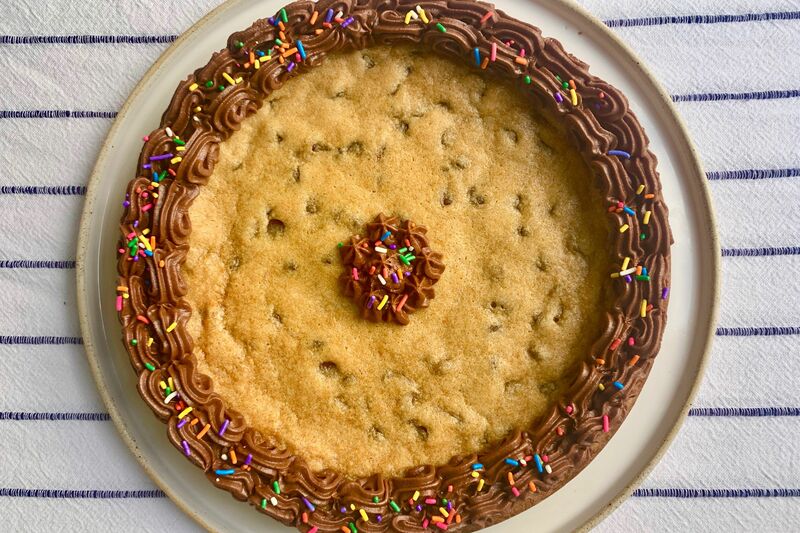 As if these chocolate thumbprint cookies aren't cute enough already, they've been shrunken down to a party-friendly bite size. Ambrosia gets a modern makeover in these soft, chewy macaroons. Cherries—red or green—make festive buttons on top. Rolled in Christmas sprinkles and topped with a chocolate kiss, these cookies are ready to feed hungry little elves.